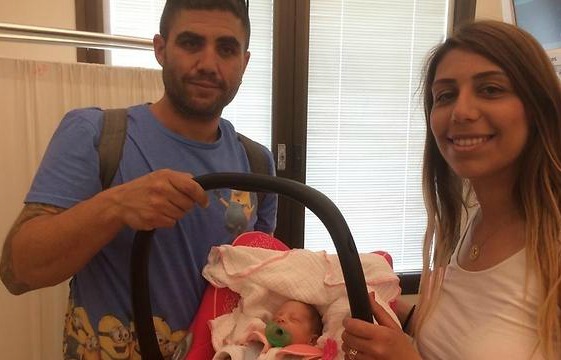 After years of fertility treatments, this past spring Hadar Ruderman from Petach Tikva gave birth at 29 weeks old to a baby girl weighing only 2.2 pounds. Their long-awaited, precious baby quickly descended to 1.9 pounds. 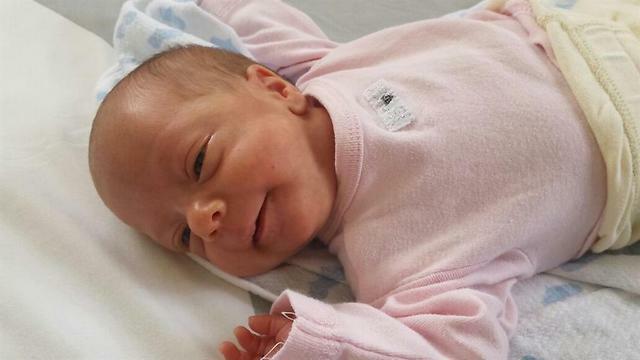 52 days later, Hadar’s healthy and thriving baby girl (in photo below) was released from the hospital weighing 5.5 pounds. They named her Darya. Hadar’s advice to women struggling with fertility? Mazal tov to the Ruderman family! Much nachat! What a beautiful baby! It is so cute how she already looks just like her mother. I hope that nachas comes for Hadar – perhaps not easily or effortlessly – but clear and deserved for what she does. Rishe,My impression is she was referring to things that really count,of lasting value and meaning or that required great expense. She didn’t plan to give up on that? How sad that she speaks as if she “did it all”. If she hadn’t given up but Hashem hadn’t helped her, how would that have helped? 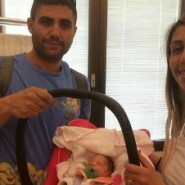 Hadar – say thank you to Hashem for the precious gift He gave you and that you could bring her home thriving. May you have only simcha and good health from now onwards. And mazel tov! Remember that Chana (Shmuel’s mother) did the same thing. She also said she wouldn’t give up on having a child, even if she had to go become an Isha Sotah to get the bracha for children. Yes, there are times we say to Hashem that we won’t take no for an answer. I know this is old but it came up for me today and so funny how I read what she said so differently. I also think that anything that have really counted for me in life I’ve had to work for and I could relate to what she says so well. I don’t think she’s saying she did it all in any way, she is just describing how she grew through it and how she found meaning in her struggle. I also find it so odd how when someone struggles for something eg baby, health, marriage partner, when they get it there is this expectation that they need to be SO GRATEFUL ALL THE TIME and praise Hashem and why not. But do we who maybe get those things easily feel like we need to praise Hashem as much, even though actually we got it all a lot more easily and have more to thank for in that case? I’ve never heard a mother of nine being criticised if she says it was hard work having the kids but she’s glad she did it because she should have realised it wasn’t her but Hashem. I think this situation is similar. In both cases the mother had to work hard to get to where she is and that is something to feel good about, it does not mean you are saying it was all just you and not thanking Hashem. Dina, So what if we won’t take no for an answer? HaShem decides, and sometimes he has decided that no would be better than yes, as so many women have experienced. We don’t have to ACCEPT the no. We can keep trying. Of course, it is always Hashem Who decides! Very interesting for me to bump into this today! At the time I wrote that comment, I was struggling (had been for 5+ years already) with wanting dearly to move to a certain type of location – one that seemed completely impossible for reasons beyond my control. I regularly cried and told Hashem that I could not accept a no. Through a series of small but momentous miracles, three months after I wrote this comment, we were already living in our new location, where I am B”H VERY happy. Wow what an inspiring story! Yes agree with you re not accepting the “no”. Also, who knows if it’s a “no” or “I love to hear your prayers, keep going!”? Obviously it wasn’t an”no” for you! I see some people are quick to judge and criticize because she doesn’t look frum. If she was dressed differently, the comments would have been less critical. Veahavta lrayacha?…. Anyway, Mazel tov!!!!! !